Without a doubt, one of the most important aspects of communicating a brand visually and emotionally is consistency. The more consistently you amplify your brand across all your marketing channels—whether through print, web, or social media—the more likely you’ll build awareness and eventually develop trust and loyalty with customers. Branding communicates what you do, what you stand for, and what makes you special, so these messages need to look like they come from the same high-quality business. This kind of consistency across all your marketing efforts might be the most productive engine your business has. When taking stock of all of the interwoven components that make up your business, pulling them all together and highlighting key differentiators will help you to define not just your brand, but your core value proposition. It’s important to remember that your brand is continually reinforced through all of your customer facing messaging, from your logo design, signage and print collateral to your email marketing, website design and social media presence. Why is it so important to maintain consistent branding across all your marketing materials? 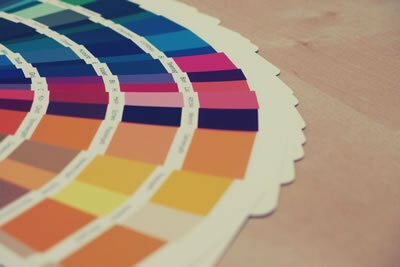 Your brand should have its own unique look and feel that immediately conveys your value proposition and distinguishes your business from competing brands. Every piece of marketing material should look and sound like a member of the same family, supporting all the other members of the family. Communicating a brand consistently evolves over time but the core message should never really change too much, so you want to give careful thought to the values your core message stands for, and your long-term commitment to them. The “little” things matter. Company leaders are often surprised to hear the effect that inconsistent logo application can have on the psyche of consumers, even if the Pantone colors are slightly off from one material to another. From the quality of paper that’s used in print materials to the way your website is coded can have an outward effect that speaks volumes about your general approach to quality. All of these points should be consistent; if they aren’t, consumers will not only lose trust in the brand and its messaging, but they will seek out others that do a better job. Just because you provide a product or service doesn’t mean people aren’t looking for an emotional attachment to your business. They most certainly are. Trust is one of the most basic—and most sought after—emotions in the human experience. Customers want to be able to believe what you promise and quality, consistent branding is the door they walk through to find that trust. Your brand conveys your core business values, your unique selling points and your goods and services. A consistent amplification of this brand is like building a close relationship with a friend over time. Brand consistency should communicate messages in a way that doesn’t detract or wander away from your core value proposition. For example, a logo should always be used in a similar way on all marketing materials, a single typeface should be used with particular guidelines on typography, consistent color ranges should be applied along with similar design styles, so that everything visual is inter-linked and has a link back to your core value proposition. While a consistent application of design and messaging across all communication channels will help to strengthen your brand identity, that doesn’t mean that all of your materials have to look exactly the same. Far from it. But it does mean that you should strive for marketing cohesion. Again, the little things mean a lot: stick to pre-determined design standards, such as your color palette, visual style, font and size and spacing of your logo. Recognition, however, is not the only benefit of consistent brand application. Recognition begets familiarity, which begets trust and confidence, which ultimately begets authority. Also, if done correctly, consistency brings clarity and purpose that consumers might be more willing to buy into and eventually become loyal to. It’s crucial for potential customers know immediately which brand message is being communicated to them, and the authority behind it. This can only be done by consistency. One truth you must face when marketing your business is that the attention span of the general consumer is very, very short. Why? Because 1.) they often don’t have much time and 2.) there is a LOT of competition out there. If your brand messaging and design isn’t applied consistently and can’t be clearly defined, consumers may become confused, annoyed, and quickly move on to your competitors. However, if you can connect with them through consistent positive brand reinforcement, you might have a friend for life. Make sure your graphic design team creates formal brand style and usage guidelines to ensure all messaging and brand asset use is on-point and consistent. 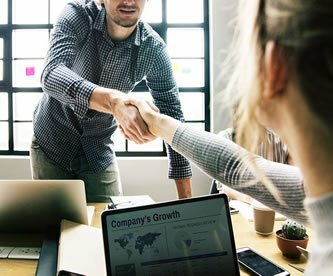 Make sure these guidelines are systematically shared with other employees and departments so that nobody is out of step in communicating your brand in a consistent manner. Appoint brand stewards—your graphic designer, website developer, copywriter, all leadership—to stand guard over the implementation of your brand standards so that they consistently align with your overall vision and mission. Do you need help maintaining your brand consistency? Contact us today for a free estimate on beautifully designed flyers, ads, postcards, or anything else you may need to successfully promote your brand. Joe Tigan has provided writing and content strategy services for global, national, and regional brands across several industries including finance, consumer goods, business consulting, and education. With over 20 years of experience, he has written for almost every medium possible.